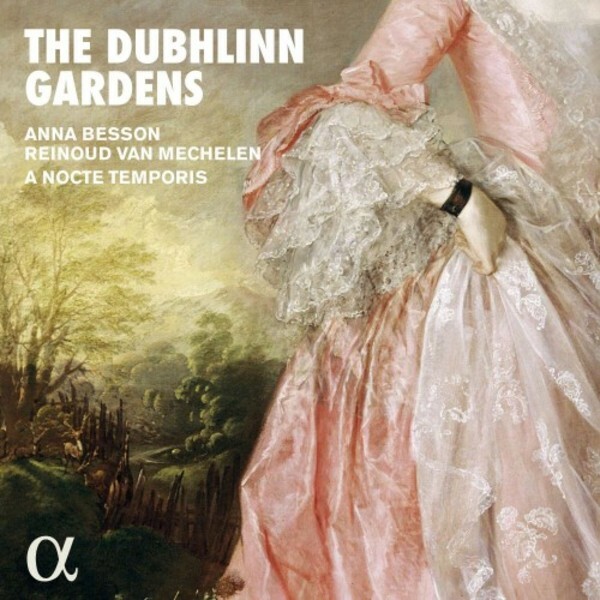 The Dubhlinn Gardens: an evening in the high society of 18th-century Dublin, where traditional music was ‘civilising’ itself for the salon… This programme was inspired by the passion for traditional Irish music that flautist Anna Besson has felt since she was a child. Surprising as it may seem, it was playing the Irish flute that led her to study the baroque instrument… For the past few years Reinoud Van Mechelen too has begun to train himself in the traditional Irish song with Karan Casey and other singers who have specialised in the unaccompanied Sean-nós. This twofold practice of early as well as traditional music has led the ensemble A Nocte Temporis to offer a programme that is both vivacious and extremely touching.